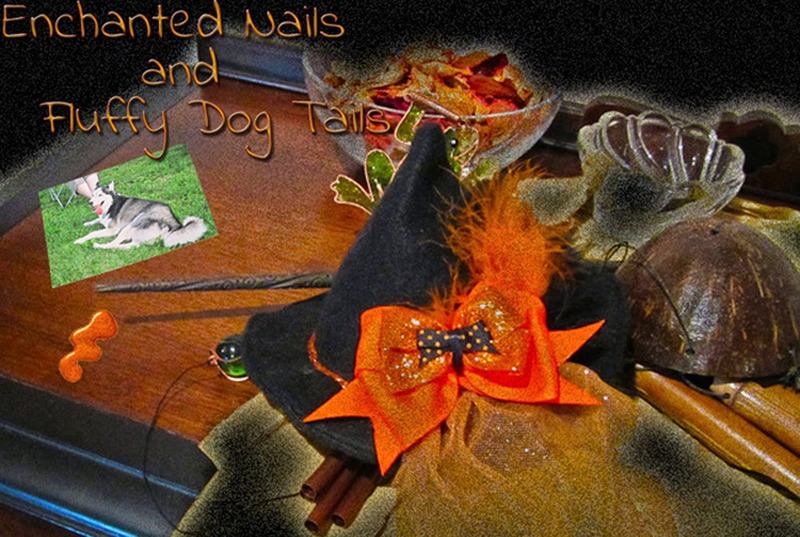 Enchanted Nails and Fluffy Dog Tails: Guest Blogger Time! Hello, my lovelies! I am swamped this week so my good friend Mary is going to entertain you and I'll be back later in the week. She's not a blogger but she loves nail polish and has been collecting and polishing longer than I - in fact, she's the one that turned me onto OPI DS Vintage! And now, with my favorite indie brand, here's Mary! 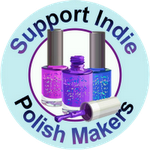 I'm so embarrassed to admit this, but a few months ago, I didn't even know that indy nail polish existed and that there were a lot of great brands and colors to be found at Etsy.com. 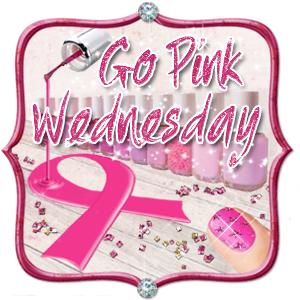 Thanks to this blog, (and unfortunately for my wallet) a whole new world of nail polish has opened up for me! I started with the brand Different Dimension and bought two colors, "My Bear", which is a gorgeous, sparkly brown, and the color you are looking at now, called "Roswell". The application was nice and smooth, and two coats were plenty to achieve a rich-looking nail. 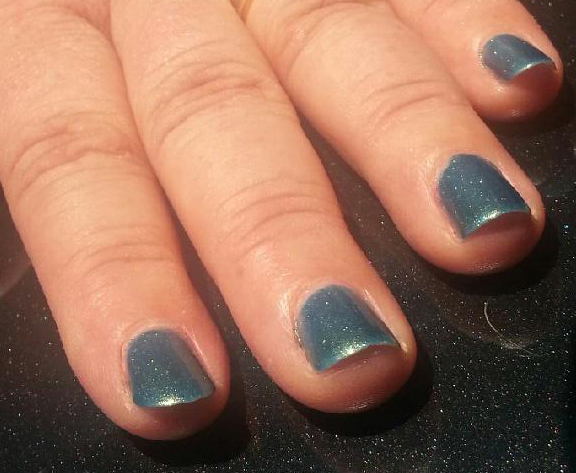 I love how the color flashes from green to blue with hints of silver to gold, and I adore the name - I think it's perfect for this unusual shade. I will definitely buy from Different Dimension again. Her store can be found on Etsy and don't forget her Facebook page! 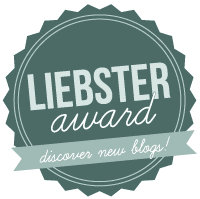 Let's give Mary a round of applause so she'll come back and guest blog again! Thank you, darling! 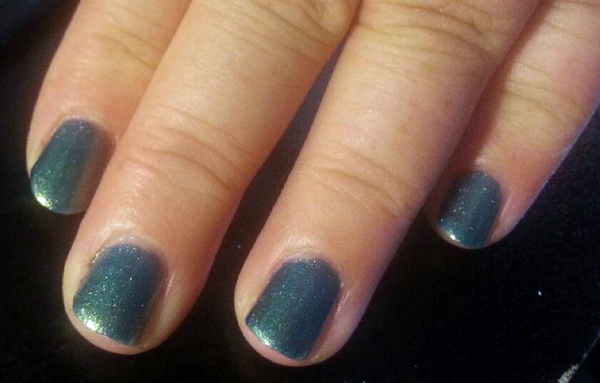 Oh, and I forgot to mention that over the two coats of Roswell, I put one coat of Seche Vite. Thanks for guesting, Mary! they look great! I love different dimension. I was thinking about getting those too - Roswell looks gorgeous! I'm putting it on my list too! Such a pretty color mary! Pretty & shimmery, isn't it? Indie Review: Different Dimension holiday line! Indie Review: Pretty & Polished Holiday polishes!